For over 25 years, Thoughtful Systems has been perfecting Scheduling Manager software for lawn care and landscaping businesses. Unlike other software companies, we have relied on the industry knowledge and business expertise of thousands of our service business customers in order to fine-tune and customize our software to the specific needs of companies providing lawn care, landscaping, and irrigation services. 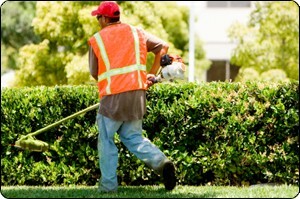 In the US, the lawn care and landscaping business is a multibillion dollar industry. And while the demand for lawn care and landscaping services is high, it is also a very crowded marketplace. How does a lawn care business stay profitable in such a competitive industry? The two key factors in running a successful lawn care business are 1) effective management of your employees and business assets and 2) consistently great customer service. Effective management will cut costs and streamline your business tasks and good customer service will help you retain current customers and bring in valuable referrals. At Thoughtful Systems, we continue to travel on the leading edge of software development so that lawn care business owners can join us for the journey. Join the Thoughtful Systems family and benefit from the best in computer software to make your lawn care business more organized and more profitable. The lawn care, landscaping, and irrigation business is currently a very competitive industry in many parts of the country. We know that in this business, it is hard to stay ahead of other competitors and we provide you with the best automated scheduling tools to make your business as efficient as possible. Maintain accurate records of all fertilizers and other chemicals used during your lawn care, landscaping, and irrigation services for each customer and location. Produce accurate reports for your own business use and for required reporting of chemical usage. Many of our lawn care, landscaping, and irrigation customers use the Route Optimization feature to determine the best and least expensive daily routes for your teams. This feature alone can save your lawn care business many hours every day, greatly cut down on traveling expenses, and increase your profitability. Our Mapping and Route Optimization feature interfaces with Google Maps and Microsoft MapPoint.